VdB 49 is a reflection nebula visible in the constellation Orion. Responsible for its lighting is the fourth-magnitude star ω Orionis. 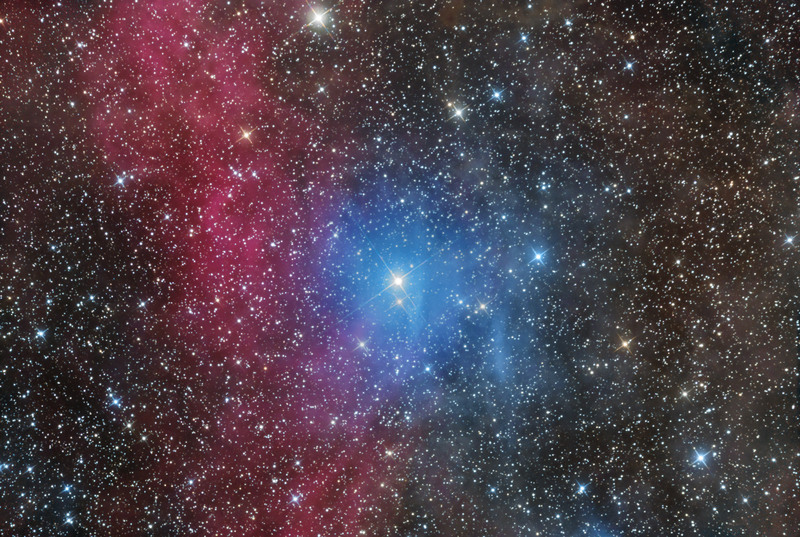 It is a blue giant of spectral class B3IIIe (or a Be star), whose parallax is equal to 2.19 ± 0.93 mas, which corresponds to a distance of about 456 parsecs (a little less than 1500 light-years). The object is located on the edge of the Barnard's Loop (on this image represented by the red clouds right from the center), a large semicircle shaped nebula, which center is located approximately in the Great Orion Nebula (Messier 42).